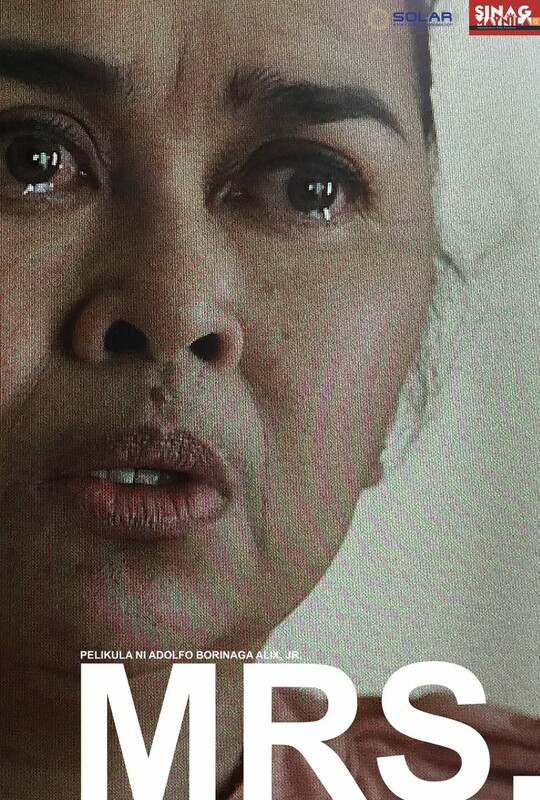 Home / FILIPINO FILMS / FILM FESTIVALS / Two lives of women intertwinein ‘Mrs.’ by Adolf Alix Jr.
Two lives of women intertwinein ‘Mrs.’ by Adolf Alix Jr.
70-year-old Virginia (Elizabeth Oropesa) shares the old ancestral house with Delia (Lotlot de Leon), her ever-loyal maid. Delia is marrying her long-time boyfriend, Rene, and tearfully confides to Virginia that she wants to go home to her parents in the province to start a new family life with him. Haunted by a past that Virginia tries to conquer—her only son Sonny Boy who disappeared years ago, what follows shows a portrait of a woman and a mother trying to juggle the sad realities of life in a cycle of life and death. The 2nd SinagMaynila Film Festival will run from April 21 to 26, 2016 in select SM Cinemas. For more updates, log on to http://sinagmaynilafilmfestival.com/,on Facebook via SinagMaynila, Twitter and Instagram via @sinagmaynila.Subscribe also to the official SinagMaynila Youtube Account:https://www.youtube.com/channel/UCmZPI6kPKUCsbim9e_qByNQ. The roster of SMFF 2016 films also includes EXPRESSWAY by Ato Bautista, LILAby Gino M. Santos, DYAMPER by Mes De Guzman, andT.P.O. by Jay Altarejos.